Dwarsliggers – the future for the book? Dwarsliggers. Dwarsliggers. Dwaaaarrrsliggers. Pretty fun to say, right? 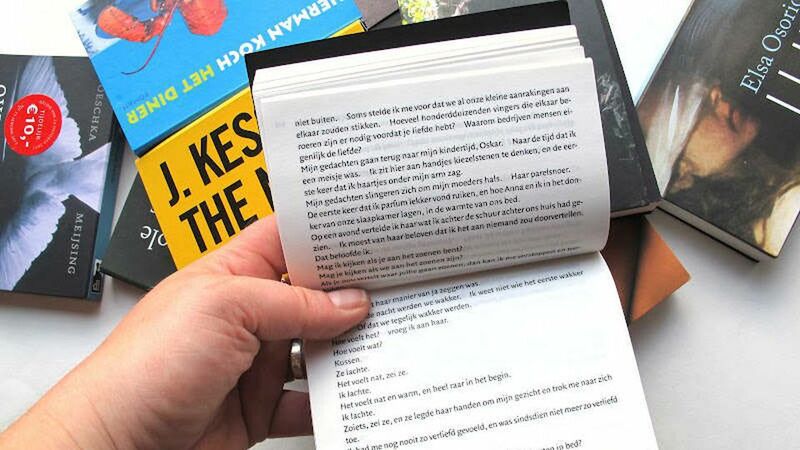 Even more fun – it’s the Dutch word for a special print of pocket-size books. These tiny books are the size of a cellphone and flip horizontally, with pages “as thin as onion skin.” And just like a cellphone, you can hold these tiny books one-handed and swipe the thin pages upward with the flick of your thumb. If you find yourself intrigued by these mini horizontal books, you’ll want to know that they’ll be called Flipbacks here. I’m going to keep calling them Dwarsliggers, for obvious reasons (see above). There has really been very little innovation when it comes to the design and format of the book. There were Pocket Books introduced in 1939, Armed Services Editions during World War II, and most recently e-books. Dwarsliggers are an iteration that might seem “novel”, but might hold some ground moving forward. The books are apparently very popular in Amsterdam and have spread across Europe. In the last 10 years, 10 million copies have been sold. Julie Strauss-Gabel, the president and publisher of Dutton Books for Young Readers, an imprint of Penguin Random House, discovered Dwarsliggers and immediately began planning to bring the books to the United States market. The first author to be part of the venture? John Green. As it turns out, he once lived in Amsterdam and is familiar with the format. As a massively successful author of young adult novels, John Green might just be the perfect first author for the experiment. As previously noted, the mini novel’s design and format are clearly reminiscent of cellphones. It is Dutton’s hope that young readers, like the fans of John Green, will be drawn to this familiarity and be captured by the minimalist-aesthetics. As Green puts it, “It is much closer to a cellphone experience than standard books, but it’s much closer to a book than a cellphone. The whole problem with reading on a phone is that my phone also does so many other things.” In fact, recent surveys have shown that young people are driving the trend away from e-books. Researchers believe young readers are looking for a respite from technology, and are therefore markedly purchasing print material. In this way, Dwarsliggers might be the perfect concoction – offering a break from the digital, but reminiscent of the digital. Dwarsliggers made their debut in the winter of 2018. Be on the lookout. Watercolor World is a UK-based charity that is bringing collections of watercolors from around the world together to form a searchable online art database. “Hohler goes so far as to say that once the collection reaches the critical mass of 1m images, it will be an “absolutely indispensable tool to help us understand today”. From coastal erosion and ice-cap melt to loss of fauna and flora, not to mention direct human destruction (of Palmyra in Syria, say, by Islamic State, or the Seti tomb in Luxor, by tourists) these watercolours serve as an invaluable reference. If visitor’s to the site feel like they have something to contribute they can submit a watercolor to see if it is worth cataloging or if they recognize they can submit a photo. If they see a watercolor they recognize while browsing the site they can add to the existing metadata by commenting on the image. Check out how these processes work by clicking the links below! How do they control all this metadata?! “Once we have received the images and information from a collection, we add some extra details of our own. These additions are designed to help you discover paintings in various ways. First, our volunteers add tags to each image. These are descriptive words that tell you what can be seen in a painting. A picture of men fishing in a boat would be tagged ‘people’, ‘fishing’ and ‘boats’. A painting of Vesuvius erupting would be tagged ‘volcanoes’. Portraits are located to where the sitter was living or working when the painting was made. If we don’t know that, we try to establish where the person was born, lived, or died. Monuments that have been moved (such as Cleopatra’s Needle, which was transported from Alexandria to London) are located to where they stood when the artist painted them. Unrecognisable locations: if we can’t identify a location and have no further information, we locate the image to the area where the artist lived and worked. Approximate: We are confident of the general area such as a town or city, but can’t narrow it down further. Unknown: The location we have given is very broad (a country or a continent) or we have made an educated guess but can’t be confident. In the 2017 article, “Classification Along the Color Line: Excavating Racism in the Stacks”, by Melissa Adler, library classification is explained as having been organized and universalized by men. Adler states that: “One of the ways that exclusion was legitimated and supported was through the application of evolutionary theory and principles.” She explains this by quoting Thomas Dousa’s theory that bibliographic classification stems from the principles of 19thcentury thinkers such as Charles Darwin, and that systematic racism has become the foundation of library organization. Alder argues that racism has been embued into information retrieval systems through classification and I would suggest the meta data attached as well. These claims can be seen in something as simple as a comparison between hieratical classification, as employed by Darwin, and current library organization charts. It’s not hard to see why visually and theoretically these models have become so engrained in organizing information. Amanda Ros, also explores the problem of classification in the library, in her piece “The Bias Hiding in you Library.” Ros discusses her experience with different retrieval experiments that exemplified what she calls the white male assumption. In her article she shows through official Library of Congress subject headings the charts through which information is organized. Last October, in the midst and fallout of understanding the full scope of Facebook’s role in the 2016 election, they launched a political ad archive. Their goal was to provide more transparency around political advertising. This week Facebook announced it would be expanding the Ad Archive into an Ad Library to catalog all ads run by all Pages, not just political ones. According to announcement, “The Ad Library offers information about who saw the ad, as well as its spend and impressions, and houses ads for seven years.” Tracking who sees what ads raises larger questions and concerns related to data privacy and targeted marketing – which is ironic given the circumstances that led to Facebook launching this in the first place. The premise and interface of the Ad Library (linked above) is simple. The Library provides a searchable collection of all of the ads which are running, or have been run, on Facebook and/or Instagram. Enter a name, topic of organization into the search bar and Facebook will provide a list of relevant matches which it can show data for. There is also the option to choose a region filter from the top right, and Facebook will use this to highlight regional variants. Facebook is emphasizing transparency between themselves, advertisers, and their user base. Page information will include, creating dates, merges, name changes and location of Page managers. They will also offer weekly, monthly, and quarterly reports that downloadable for anyone. While the primary focus continues to be political transparency and ensuring the platform is not misused by politically motivated groups, this Library is a huge gain for digital marketers. Marketers can track how their competitors are promoting material and how audiences are interacting with different advertisement strategies. Despite these concerns, there is a major benefit everyday users. They can check the source of highly shared memes or posts which share misinformation. Anyone can look up a Page’s information and share it which could make other users re-think using that Page as a resource in future. In a way, it’s the Snopes of Facebook. The Library is still in its infancy but the aforementioned issues of data privacy and targeted marketing are concerning. How these are impacted, if at all, remains to be seen. It does, however, have the potential to become another tool to improve digital literacy and fact-check false reportage. Have You KonMari’d Your Home? Organizing Consultant and author of two best selling books, Marie Kondo, recently rose to fame after Netflix released a series called Tidying up with Marie Kondo. In this series she visits various American homes to help de-clutter the owner’s lives and allowed families to understand their relationships with their belongings better. Her methods aim to help individuals de-clutter their homes by tackling each of these categories first, and making sure that unwanted discarding items should always be done before you can organize the items you want to keep. Her method requires her clients to compile all of their possessions in into a big pile and go through each and every item. Items are kept if they “spark joy”, but should be removed if they do not. Kondo’s categories for her de-cluttering method are specific to her work, but it is still an organizing system for personal belongings. Just like systems used in libraries and museum to categorize items within the collections, Kondo’s system allows her clients to be able to see what it is that they have in their collection of stuff and make informed decisions on keeping or discarding. The system that Marie Kondo created to help create a tidier lifestyle is not much different from a standardized system that helps researchers find a specific item in an archive. Her client’s collections are more unique to their personalities and are not accessible by the public unless they chose to open up their homes. It is important to note that we all have some sort of organizational method we use for the possessions in our home. If we take Kondo’s methods out of the picture, and look at our own closets, we can see that we organize our undergarments separately from the clothing we wear for work, for hanging out with our friends, or for sleep. We organize our kitchens with cabinets specific for cooking spices, for our serving bowls or plates, and our utensils. Thinking about it this way, our need for some form of organization is already present even without a standardized methodology in place. What researchers are trying to move past is the idea that training with a specific game will encompass other areas of cognitive function; even though you may be a master at a certain brain game, this doesn’t necessarily mean that you’ll be able to remember what you did exactly a year ago or list off every item on your grocery list. There’s a gap between transferring simple, cognitive functions to complex notions by improving cognition. Researchers from Brown University may have found a way to break the curse of specificity, actively transferring learning from an app/game to everyday events. The researchers from Brown conducted a study that focused on visual perception learning, which is based around neurons that are centered on processing an object’s features so that it can be identified later on. 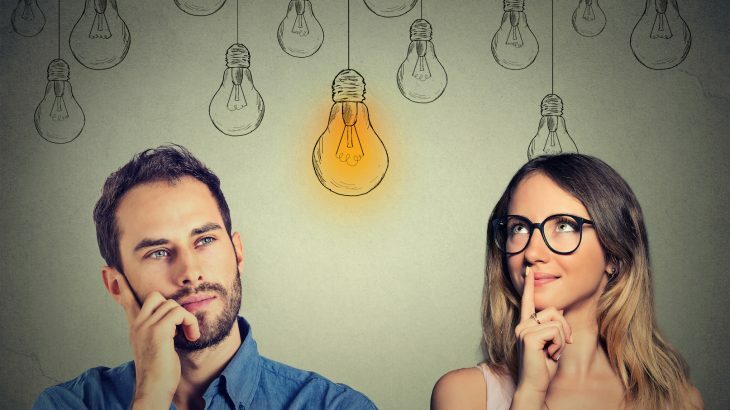 The study consisted of 12 undergraduate and graduate students who took part in a categorization experiment, testing a higher brain region that helps humans categorize everyday instances. To incorporate this higher function, researchers had the participants take part in categorization exercises before performing visual perception learning tasks, which had an incredibly positive effect when it came to transferal. The begin with, participants were tasked with identifying and categorizing Gabor Patches, blurry striped circles, into two different groups depending on the angle of the stripes in the circle; this continued for five days. Next, the researchers tested the participants’ categorization abilities by piloting whether they could recognize the practice patches and if they were able to place patches in the same category. Regarding the conclusion of the study, the participants experienced the most ease in recognizing patches they had previously practiced with, however, there was a significant jump in identifying patches in the same category as well, or, a transferal of learning. Due to categorization being such an integral part of being, rather than just a specific type of learning, its reach transcends specific stimuli, therefore having potential use for clinical purposes. In order further explore this phenomena, researchers are hoping to explore how categorization can foster transferal using magnetic resonance imaging to record brain activity, utilizing participants as they continue to take part in visual perception learning training. There are many niche museums around the world—yarn, mustard, barbed wire, even toilet seats. But a niche quasi-copyright register? Of ceramic eggs with clown makeup painted on them? Group 2 entities are also interesting here as the creator of the work is the clown, as is the realizer of the expression and manifestation. But the person who paints the makeup onto the egg, who enters the design into the copyright register, is the one who creates the item. Clowns International is the organization that co-owns the item, at the very least by nature of its housing. Luckily, the FRBR Group 1 entities account for additional contributors at each stage, and the unlimited number of author /contributor fields in RDA will help note all of these in their separate roles (as well as the clown’s stage and legal names). The main question I’m left with is: would the authorized access point be the clown’s stage name? I recently came across the article “Transformative Praxis – Building spaces for Indigenous self-determination in libraries and archives” by Australian Indigenous archivist Kristen Thorpe. She talks about working in traditional institutional contexts, her encounters with “traumatic and biased records and information,” and her role as an archivist in sitting with other Indigenous people as a supporter, contextualizing and parsing these records and taking on the anger and grief of people whose historical and continuing record has been systematically altered or erased. She then outlines an actionable plan to create Indigenous user-friendly spaces in Australian libraries by consulting Indigenous catalogers and using Kaupapa Maori theory to guide organization. Reading her article led me to explore what work was being done by and for the Indigenous people on this continent to decolonize library and classification systems. After a little googling, I found the X̱wi7x̱wa Library. The X̱wi7x̱wa (pronounced whei-wha) Library in British Columbia catalogs based on a newer version of the 1974 Brian Deer Classification System, a cataloging system built by Kanawhake librarian Brian Deer. This cataloging system groups books by geographical area, so for example, books on coastal nations are in one section and northern nations in another. The Brian Deer system also reflects tribes’ preferred, internal names versus the colonizer-imposed names under which material about each tribe is routinely cataloged in Dewey and LoC classification. Additionally, the X̱wi7x̱wa librarians hope this library will be a welcoming learning experience for non-Indigenous users to understand the importance of decolonization for people impacted by the colonial bias of Western classification systems. Google+ was initially launched in June 2011 with the goal of competing against other social media networks like Twitter and Facebook. At first, Google+ received a surge in user signups but over time users spent less time on the site compared to other social media websites. In February, Google announced that it will be permanently shutting down Google+ on April 2, 2019. The reason for this shutdown is due to low usage and an inability to live up to the company’s expectations for the service, according to an article on The Verge. However, not all is lost, the Internet Archive is currently immersed in preserving public Google+ posts before it closes down forever. The Internet Archive has begun preservation of the Google+ posts by archiving them and backing up the data with a virtual archiving tool called “Warrior” which will download the posts and archive them. However, the Internet Archive is not preserving everything only posts that are currently available to the public. If you are interested in preserving your Google+ posts, contacts, and comments before the shutdown, Google has a tool called Google Takeout that allows you to create a downloadable archive file of your data. Earlier this week, it came to light that Myspace has lost most photos, videos, and music files uploaded by users more than three years ago, i.e. 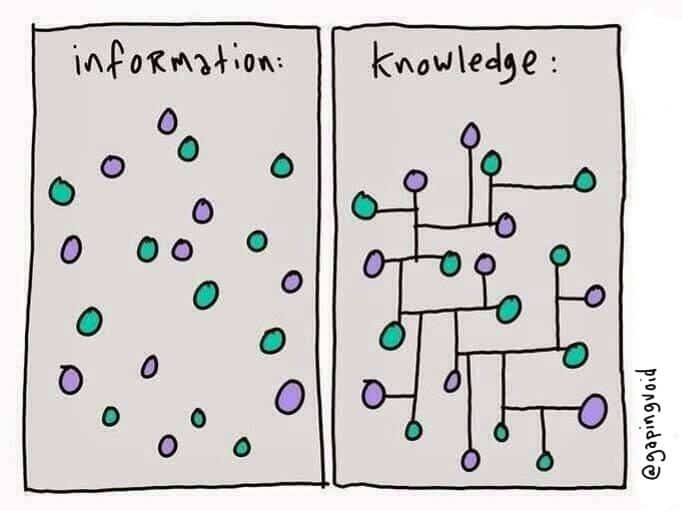 from 2003 to 2015. Aside from formerly being a hugely popular social network before Facebook took root in the mid- to late-2000s, Myspace served as many bands’ and musicians’ unofficial websites and repositories for their music, akin to Bandcamp and Soundcloud before those sites existed. As reported by BoingBoing and other sites based on a Reddit post, music links on Myspace stopped working about a year ago—at first, the site claimed it was working on the issue, but it eventually admitted it has lost all of this data and does not have a backup. This news about Myspace of course reminded me of the Lepore article we just read, as well as Shan Wang’s article “The Internet Isn’t Forever.” Events like these underscore the total impermanence of data and metadata on the internet—for those who no longer had a local copy of their old band’s self-released album, that music may truly be gone forever. This also makes me think about what will happen if/when Bandcamp and Soundcloud eventually fold. Additionally, with the rise of streaming services like Spotify and Apple Music, fewer people are likely purchasing and downloading music to their local drive, which poses similar questions of data loss. As an experiment, I went to the Wayback Machine on the Internet Archive to try and access some archived Myspace music profiles from 2006. While I was able to click through to some profiles, much of the content did not display or displayed incorrectly, and I was not able to access any music files or photos. The Internet Archive’s Wayback Machine is dependable for finding a snapshot in time, but a searcher needs to know the time frame of what they’re looking for, and snapshots don’t really capture a complicated, database-driven project or any site with a lot of dynamic links. While I didn’t do an extensive exploration on the Wayback Machine, it seems clear that it is now difficult or impossible to access this data.